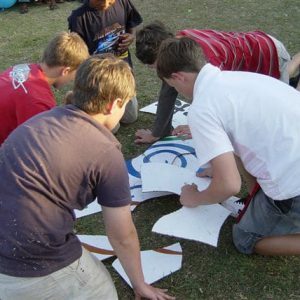 We offer a range of adventure activities suitable for children from the age of 7 up. 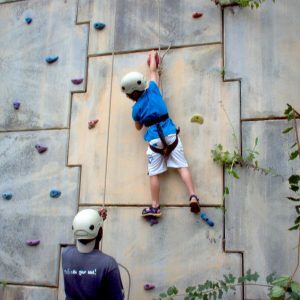 From the climbing wall and paintball target shooting included in our basic programs, to the more challenging tubing and abseiling which are camp favourites, to the spectacular Canopy Tour we will ensure an experience never to be forgotten. 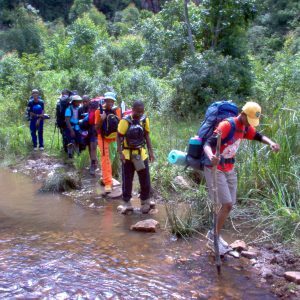 The challenge course is series of both mental and physical challenges and puzzles that require problem solving abilities, leadership and teamwork. These activities have numerous experiential learning applications and can be facilitated accordingly to deal with specific issues. Some of the favourites include, Ravine crossing, Toxic Mud, Tyre change and the Spiders Web. Various, less physical games, generally held indoors that allow the thinkers in the team to emerge. Teamwork is still essential for overall success. We use Zoob, nail balance, handcuffs and plenty more to get the grey matter working. 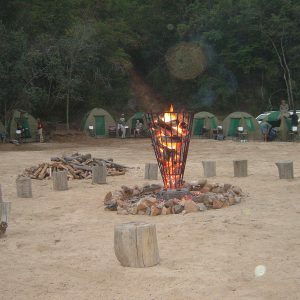 The obstacle course has a number of challenging physical obstacles that an individual or team must navigate while racing against the clock. 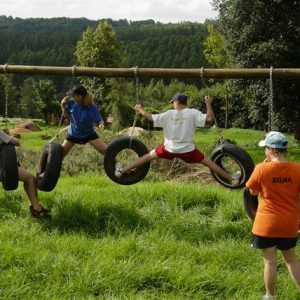 The course involves obstacles that the participants must climb over, crawl under, balance on, hang from or jump into. Puddles of muddy water, ropes, nets, and “no-touch” restrictions are used to make the course more difficult. Physical training, competition and teamwork are all possible outcomes. 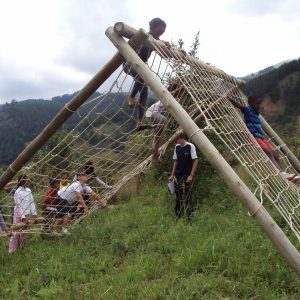 The wall, seesaw and monkey bars are some of the challenges. 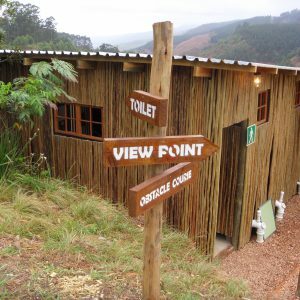 We have a number of marked hiking trails on the property, of varying length and difficulty that we use for our Nature walks. These go through different environments like the riverine forestry, open grasslands and cultivated orchards or plantations. 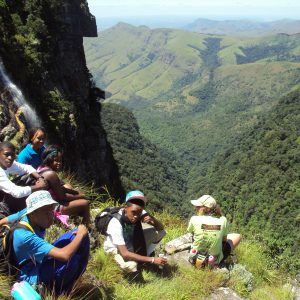 During the Nature walks, learners will discover and study the fauna and flora of the area..
Our rustic camp can accommodate large groups of students in 3m x 3m safari tents which include mattresses. All students are required to bring their own bedding such as a sleeping bag, blanket and pillow. 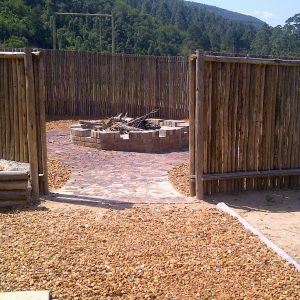 Teachers will also be accommodated in tents, with single beds and linen supplied. 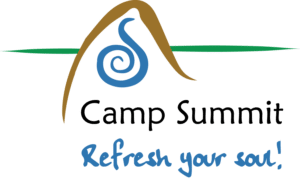 The camp includes a wash up area with basins and fridge, boy’s and girls ablutions with private showers and a secluded boma where students can enjoy their camp fire evenings and night programs. Electricity is provided in the communal areas.